As a Writing Arts major at Rowan University, it's required that I take a few core classes which every Writing Arts major at the university must take. Most of the time, these are the classes I most dread. It's almost as if the professors for the courses purposely make them boring beyond belief. Naturally, I did not have high hopes for my Writing Research & Technology course when the semester first began. But through the texts, films, and my peers' work, this class quickly became one of the most profound learning experiences I've had while I've been a student at Rowan. One of the things that made this class stand out from the rest is that I actually felt challenged in this course. Too often are the texts for my other classes too easy, too boring, or too filled with repetitive concepts with which I've already spent a great amount of time. This was not the case in this classroom. This was the first time my professor told the class, "You better have a highlighter and dictionary handy while reading," and I actually listened because it was necessary. We read difficult texts, the most difficult of which were written by Roland Barthes, a French semiotician who taught me the meaning of studium and punctum and how the two affect what is good and bad photography. I came into this class thinking photography was not an art form at all, actually. But because of Barthes (and my peers' perspectives on the matter) I was able to walk away with a new appreciation for photography and see its values as they apply to other aspects of the world. For instance, the decisions a photographer makes when shooting are very similar to those a writer makes when putting words onto paper. They think about the context, the rhetoric, and the things they want to include or exclude from the picture in order to convey a specific message. But this wasn't the only thing I felt was extremely valuable in the class. The films that were presented, including Jiro Dreams of Sushi and Bill Cunningham New York, offered me a brand new perspective on life in general. Both films showcased men of various skill sets and their complete and utter devotion to their work. They gave up their entire lives for their professions, making names for themselves in their respective home countries. I thought this was an interesting concept because while I love writing, have always wanted to be a writer, and my ultimate dream is to become successful in the writing field, I can't help but feel there are more important things than just work. I love my family, my friends, and my fiance. I love fun, and leisure, and long walks on the beach (no, really I do). I would never be able to abandon it all, shut the doors to my life outside of writing, and do exactly what it takes to become a master at the craft. That was probably the hardest lesson I learned this semester, I think. As I watched these men do nothing but work for their entire lives, yes doing what they love, but also leaving behind an entire life they could have had, I realized something: I don't have what it takes. I'm not saying I won't be a successful writer one day. Maybe I will be. In a lot of ways, I already consider myself to be one. But to be obsessed, to be a perfectionist... that's something else entirely. That's something I don't have the guts (or really even the desire) to do. In addition to the films and texts, I learned a great deal from my peers (and no I'm not just saying that). Never before had I been in a class that allowed me to see into the lives and minds of those who were taking the course along with me. In fact, most of the reason I felt I had success in the blogging genre was due in great part to Amy McAnally, a classmate of mine whose blogging voice inspired me and allowed me to find my own voice in my writing. But it wasn't just one classmate who I found particularly interesting. It was all of them. Most of the time in these gen ed classrooms where everyone is there for the same purpose (it's mandatory), there's an overwhelming sense of student apathy. And I thought for certain this class would be no exception, especially with all the challenging texts we were required to read throughout the semester. But that wasn't the experience I ended up having, and I couldn't be more glad for it. Everyone in the classroom had something special to offer, an idea I never had before, a way of seeing that changed me somehow. As corny as it sounds, I know, I'm really going to miss those classroom discussions and hearing and reading everyone's differing ideals and opinions. The final assignment for this semester was to create a blog post discussing the most profound thing you learned in the class. But I didn't do that, because there's not just one thing for me. I learned that photography is more related to writing than anyone may think, and that because of those similarities it is an art. I learned that no matter how much you think you know, there are things out there that will still challenge you and you should embrace those challenges with open arms (a dictionary and a highlighter wouldn't hurt either). I learned that passion for a subject or profession isn't enough to master it. It takes sacrifice, time, and true love. But most of all I learned to not give up on those around you. Because even if your past experience has been that no one cares, no one takes it seriously, no one wants to get better, there are always people around you that will surprise you in new and interesting ways. There are still people who care. There are still people who want to be better. There are still people you can learn from. And you know what? You can even find them in a required class. One of the things we've been focusing on in a class of mine is the difference between nature and history. In his preface to his book Mythologies, Barthes expresses his frustration over the matter stating that he "resented seeing Nature and History repeatedly confused in the description of our reality" (1). What he means by Nature and History are not the traditional meanings of the words. For those of you unfamiliar with Barthesisms, "nature" is the myth or the allusion that something in our culture is a certain way because it is what is natural. "History", on the other hand, is the actual reasoning behind those cultural norms. After reading this, I began to apply my knowledge of nature and history to the social media tool Instagram. More specifically, I wanted to analyze how people connected to music on Instagram. I will share my findings with you by playing a little game I like to call Myth vs. Reality (gee, I wonder where I came up with that creative title...). As I thought about the types of pictures I wanted to put on Instagram, I aimed to capture individuals (mostly strangers) enjoying their music either together or alone, analyzing how music connects and isolates us. I carefully constructed each caption to include the most important lyrics from the songs being listened to by the listener, trying to capture that special connection each person had with their music. I also wanted to include pictures that show the musician's lifestyle, pulling old pictures from my brother's band performances and music collections to illustrate how music is the central part of this person's life. I thought for sure Instagram would be filled with pictures such as these, and that the connections between my pictures and others would be easy to discern, especially with the hashtag #musicislife. After all, hashtags function as a way of bringing together a community of like-minded individuals. Right? Despite my best efforts, it was difficult for me to escape the plethora of narcissism that seemed to be ever flowing from the fingertips of my fellow hashtag (ab)users. No matter how many hashtags I explored - #music, #musicians, #musicmondays (unless you're an ENORMOUS Justin Beiber fan, don't bother wasting your time with that last one) - one thing remained true: the pictures were completely unrelated to music. Most of them consisted of the ever popular selfie or amateur music videos at a sad attempt to strike it rich and get famous quick. I yearned to see a guitar, a stage, hell some headphones at the very least! But what I found was in fact, the polar opposite. It seems that regardless of the "connecting" material, Instagram is the platform for one thing and one thing only: self image. I think that in another environment or social media device, the sense of community that arises from music listening would have been more defined. For instance, Spotify allows users to see what their friends are listening to and to add music to their own profiles based on that. Devices such as this support the idea of music as a community-strengthening entity. But Instagram is not the place for such connections. This is the place for surface level narcissism. Posting pictures of ourselves BEFORE we go to the concert with #musicislife rather than posting pictures DURING the concert. Posting videos of our cover songs rather than posting the actual song by the actual artist. These things do more to deny the connections the hashtag is supposed to facilitate rather than strengthen them. We end up "following" an array of faces we may or may never see in reality. And in this sea of selfies, the music gets lost. Perhaps the connections we think we get on Instagram are not connections at all. Perhaps this is just another digital soapbox, waiting for the next person to get up and yell, "#LOOKATME!" Barthes, Roland, and Annette Lavers. "Preface." Mythologies. New York: Hill and Wang, 1972. . Print. Recently, a classmate of mine, Amy McAnally, gave a presentation about her experience at the Philadelphia Museum of Art. In her analysis of the artwork, Amy talks extensively of how women are treated differently than men in artwork through the lens of John Berger. 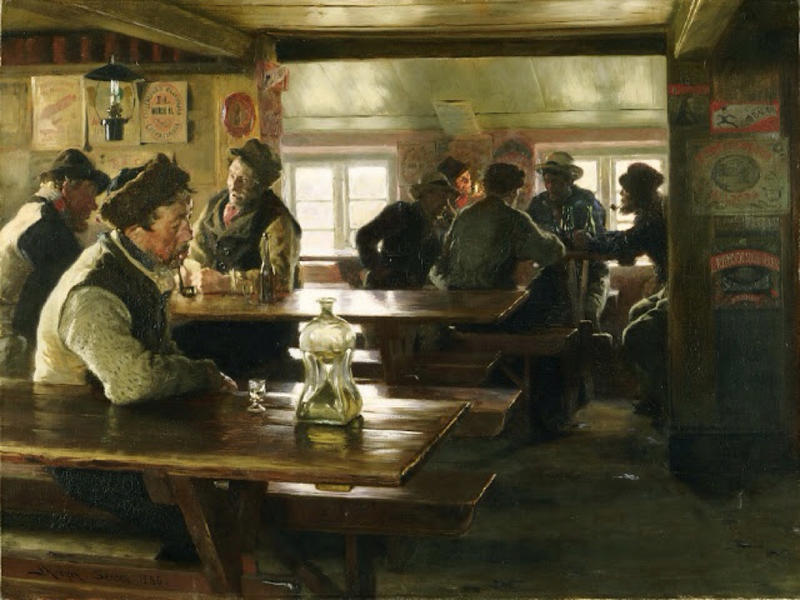 She agrees with Berger that men act and women appear, using paintings such as the Portrait of Lady Eden by John Singer Sargent and Interior of a Tavern by Peter Severin Krøyer to illustrate the dichotomy between the appearances of the two genders in artwork. While her ability to perfectly capture Berger&apos;s argument through her selection of found artworks in the museum is impressive, perhaps what is more impressive is the power of her own words. "Women are never just human. Supernatural beings set on display to be looked at, and it has been like that for centuries. Men are always painted in order to look larger than life for their accomplishments (look at Napoleon) and they have a purpose to their being painted; women have a purpose to be seen, and to always be seen." What an incredible observation. Berger would certainly be proud that his message was sinking in so well. But while I agree to a certain extent that this type of artwork could be interpreted as being misogynistic towards women, I am forced to consider what Amy herself says and think, "Maybe we&apos;re all wrong about this. Even Berger." Amy says it best herself, "Women are never just human." From the earliest illustrations of woman as Eve, Venus, or Madonna, women have continuously appeared among angels or in serene, mythological-looking backgrounds as if they themselves were more than just human. Perhaps these depictions of women as passive, unimportant creatures have in fact been the opposite all along. 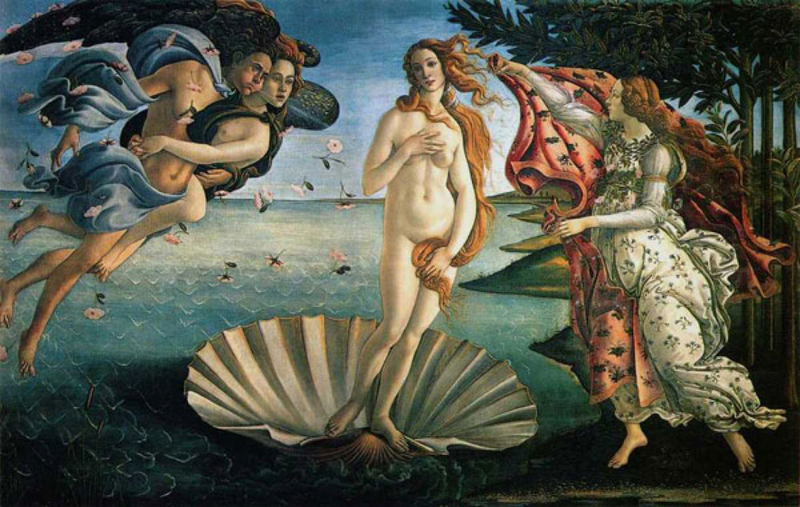 Compare Boticelli&apos;s The Birth of Venus to Dosso Dossi&apos;s The Ascension. In both, the focal point of the piece is a barely clothed person who has the appearance of being more than human. Each is a passive participant in the art and each is equally adored by others whom appear within the piece as well. Each has an aura of mystery about them, gazing out towards the surveyor as if hypnotizing them. Forcing them not to look away. Perhaps it is not woman&apos;s vanity, nor a man&apos;s obsession with her naked body that is forcing these women to appear objectified in these works of art. Maybe it is a woman&apos;s mystique, her ability to put others "under her spell", her cunning that is being illustrated in these works. And what better way to convey such a difficult notion than to cast her mysterious gaze out to the surveyor and place her naked glory as the focal point of the artwork? I mean, in all likelihood, it&apos;s exactly what Berger and Amy (and countless other art critics) have said all along. "Men act, women appear" and "women have a purpose to be seen and to always be seen." 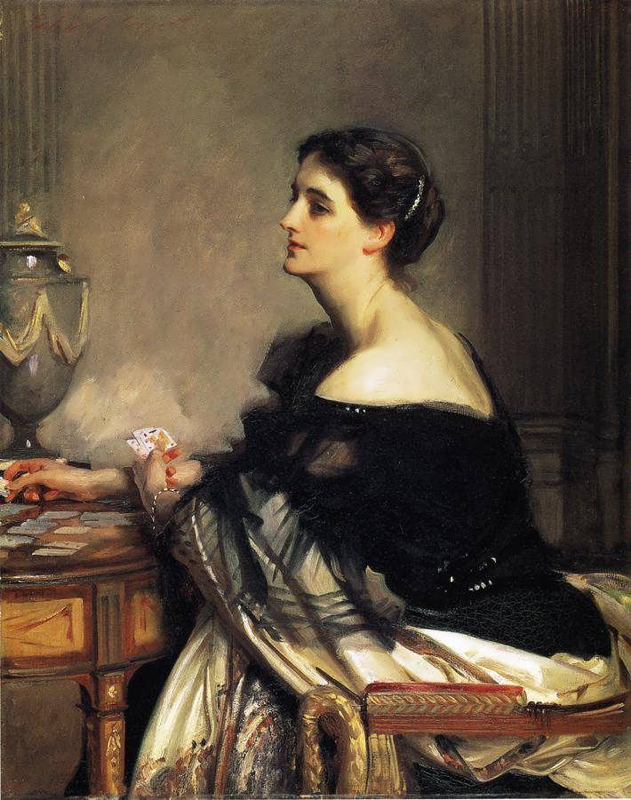 But I find it difficult to believe that during a time when Shakespeare was writing ode after ode to glorious woman, that simultaneously painters everywhere were out exploiting their image. 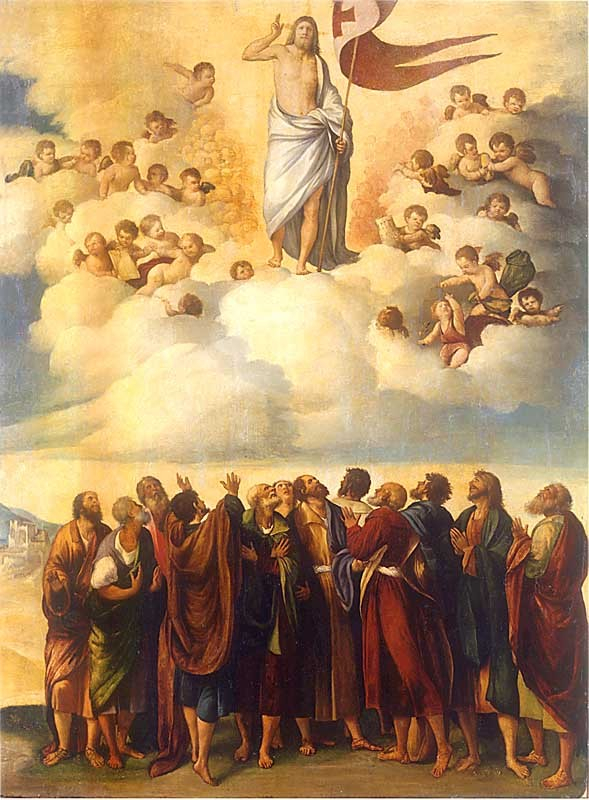 One has to admit that there is some reverence in these paintings. The lighting, the focus, the softness of the features - everything looks too perfect, too poetic, too pious to be anything but sheer admiration for the subject (notice she&apos;s not an object, here). Maybe Amy has it right. Women are supernatural creatures, always to be seen and revered as more than just human. I was never really one for photography. I've moved thirteen times in my lifetime, so the concept seemed pretty pointless when all the photographs taken would just be lost in the imminent move. If I were to do this project on a photograph, it would have been the one of my Uncle Keith playing guitar. He died of Mad Cow Disease when I was six, and I never really knew him that well; but I always felt a strange connection to him. As if he were always watching me. Always present. Always on my mind. I have no idea where this photograph went in the mess of moves that has become my life. Instead, I chose to do this project on V-J Day in Times Square by Alfred Eisenstaedt. This picture has always spoken to me for some reason. Perhaps it's the romance that it depicts (growing up I always thought these people were husband and wife, reunited after the war) or maybe it's just my affinity for black and white photographs. But as I grew older and learned more about the people in the photograph (actually complete strangers to each other and unable to be later identified by the photographer) and the history of the war which lead to its capture, I realized there was much more to this picture than two people celebrating the end of a war. This picture raises some serious questions as I gaze upon it with a new and more educated eye. Classified as a World War II Photograph according to Hackings, it seems strange to me that such a photograph should be used to signify the end of a war (315). Their celebratory kiss seems to overshadow the fact that millions of people died in order for this photograph to be taken. Moreover, a quote from the alleged woman in the photograph oozes with the misogynous views that were prevalent during that time. Edith Shain, the supposed nurse in the photograph (this was never actually proven and she has since died), wrote to Eisenstaedt stating, "she thought she might as well let him kiss her since he fought for her in the war" (V-J Day in Times Square 15). I don't know about anyone else, but I certainly wouldn't allow a complete stranger to manhandle me in the middle of Times Square solely on the grounds that "he fought for me in the war." But this is the beauty of photography which Barthes and Hacking discuss in great detail: that photographs allow life beyond death. In this case, the since improved misogyny in America is being perpetuated through this photo. One could even argue that the souls of Edith Shain (or whoever the woman may be), the sailor, and the millions who died in the war live on through this iconic moment in American photographic history. Barthes defines photographs through elements of studium and punctum. Studium being the simple "likes" or "dislikes" of the Spectator and punctum being the elements that pierce or arrest the Spectator, it's clear this photograph possesses both of these qualities (at least for me). I like that the picture is black and white, that it conveys a sense of romance and excitement, and without further inspection relays a feeling of general happiness. I like that it showcases Times Square unlike the similar photograph taken by Victor Jorgensen that was published in the New York Times the next day. But what arrests me about this photograph is how uncomfortable the woman looks in the photograph: back arched, cap almost falling to the ground, hundreds of people watching in the background smiling as if nothing is wrong with this picture. And once one discovers the history behind it, it only adds to the discomfort depicted. That no, these people did not in fact know each other before this picture was taken. No, this was not in fact a glorious time in world history-- many people died in order for this photograph to be taken. Even the mystery of who these people actually were intrigues me (why is it so difficult to identify the subjects?). I was never really one for photography. But in reading Barthes and Hacking, I've gained a new respect for the art. Their views on photographic life after death are comforting to me, and I wish I could find that picture of my uncle so I could do him justice in perpetuating his life. 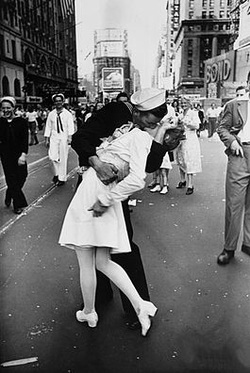 But V-J Day in Times Square is certainly an intriguing and mysterious photograph. I don't think Uncle Keith will mind if I use this; he may even be proud of my analysis. When I was young, my father told me, "Do what you love, and if you make money at it... well then that's fine too." I never let that go. I never took that for granted. In Japan, they have a similar message. It is the belief in the "spirit of the shokunin." The literal translation of "shokunin" is "artisan" or "craftsman." But this translation doesn't even begin to cover exactly what it means to possess the qualities of the shokunin. "The Japanese apprentice is taught that shokunin means not only having technical skills, but also implies an attitude and social consciousness. … The shokunin has a social obligation to work his/her best for the general welfare of the people. This obligation is both spiritual and material, in that no matter what it is, the shokunin’s responsibility is to fulfill the requirement" (Cheok 1). It is this belief that drives Japan's most successful restaurant-owner, Jiro Ono, in his lifelong quest to perfect the art of making sushi. In David Gelb's film Jiro Dreams of Sushi, we follow the chef to his small sushi bar in Ginza. There are ten seats only and guests must make reservations at least one month in advance to enjoy 20 pieces of the finest sushi in Japan. Meals start at 30,000 yen (or $300). It is here in this small basement of a restaurant where Jiro works tirelessly at perfecting his craft. It is here where his sons have studied beneath him, persuaded by their father not to pursue college. And it is here where eldest son, Yoshikazu, is expected to take over once Jiro passes on. In Maggie Lee's review of this film, she notes that "conversations with his sons ... elicit sympathy for the pressure one would expect they're under to sustain the restaurant's reputation in the long term" (4). While this may be true for some viewers, I did not feel sympathetic toward his sons. The dynamic between fathers and sons in Japan is much more complex than those in Western cultures. It is because of this strained relationship that Jiro was able to enter the world of culinary arts in the first place. Leaving home at nine to pursue his dream, Jiro's father simply said, "Now you have no home to come back to." When his youngest son left home with the dream of opening his own sushi bar, Jiro said the same to him. To the Japanese, this isn't a punishment. It is a constant reminder of why hard work and dedication is necessary. You do what you love and you do it as flawlessly as possible, or you don't survive. This message is evident in every aspect of this film. Each shot is in itself a work of art; each of Jiro's meticulous movements illustrates his devotion to his craft; even the music (Bach, Mozart, Tchaikovsky) mirrors the perfectionist attitude of the Japanese. To quote Colin Covert, "By the time this graceful film is over you understand why Japan has declared the bald, bespectacled Jiro a national treasure. Even if you've never tasted sushi, the man's singleness of purpose will inspire you" (1). While the careful (and oftentimes OCD-like) routines that Jiro follows may seem humorous at first glance to the viewer, one quickly turns amusement into awe. For in the end, this is not a movie about a man who mounts his train from the same position each day. This is not a movie about a man who massages his octopus for 50 minutes before preparation. This is not a movie about a man who has worked without end for 75 years. This is not even a movie about a man who makes sushi. Rather, this film encompasses the essence of life that much of society has either lost or taken for granted: the spirit of the shokunin. I think everyone can learn something from the practices of Jiro. It's not enough to work hard if the end goal is just to make money. You need to have passion, a true love for what you do, and a drive to learn more and try harder at making it perfect. My father told me to do what I loved, and I was lucky enough to find out what that was at the early age of three. I am a writer. I am editor in chief of HerCampus Rowan magazine and assistant editor of Avant literary magazine. I attend workshops and compete in poetry slams and when I graduate, I will do anything and everything in my power to get to be an editor at a publishing company. It's not a three star Michelin restaurant rating, and it's not perfect. But it's a start. And, as Jiro teaches us, that's half the battle. Cheok, Adrian. "Secret for Innovation: the Shokunin spirit of Japan." Adrian David Cheok. N.p., 09 Jul 2012. Web. 7 Feb 2014. <http://adriancheok.info/uncategorized/secret-for-innovation-the-shokunin-spirit-of-japan/>. Covert, Colin. 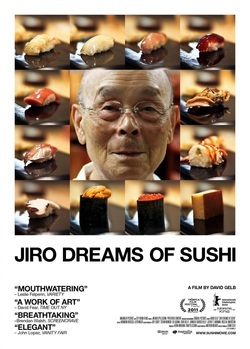 "Perfection is life's goal in "Jiro Dreams of Sushi"." StarTribune . 19 Apr 2012: 1. Web. 7 Feb. 2014. <http://www.startribune.com/entertainment/movies/148134795.html>. Lee, Maggie. "Jiro Dreams of Sushi: Berlin Review. "Hollywood Reporter. 16 Feb 2011: 4. Web. 7 Feb. 2014. <http://www.hollywoodreporter.com/review/jiro-dreams-sushi-berlin-review-100368>. While Errol Morris’s Which Came First, the Chicken or the Egg? and David Foster Wallace’s Consider the Lobster appear to be worlds apart at first glance, one can clearly see shared elements upon closer inspection. 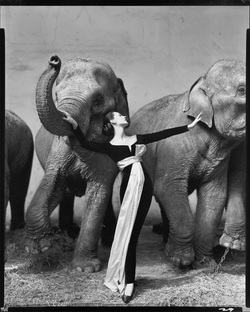 I know what you’re thinking: one is lobsters and one is photography; where are the similarities? There’s no denying the extreme difference in subject matter between the two pieces. However, it is not the matter on which they write but the manner in which they write that interests me. Both authors demand that their readers question what is presented as “fact,” and they do so by illustrating their research methods to show their readers what must be done in the quest for truth and objectivity. Despite this shared mentality, each author achieves his goal in different ways with Morris documenting his journey and his findings and Wallace engaging in more conversational discourse through his use of footnotes and internal conflict. A slight but significant difference between Fenton’s two pictures of the site seems to have escaped the attention of photographic historians. The first variant obviously represents the road to the trenches in the state in which the photographer found it, with the cannonballs lining the side of the road. In a second version we discover a new feature. Some round-shot is now demonstratively distributed all over the road surface – as if the balls had just been hurled there, exposing the photographer to a hail of fire. Not content with the peaceful state of things recorded in the first picture, Fenton obviously rearranged the evidence in order to create a sense of drama and danger that had originally been absent from the scene (11). What bothers Morris in this excerpt is the use of the word “obvious.” “As I’ve said elsewhere: Nothing is so obvious that it’s obvious,” Morris states (13). “The use of the word ‘obvious’ indicates the absence of a logical argument – an attempt to convince the reader by asserting the truth of something by saying it a little louder” (Morris 13). Through his definition of what is obvious, Morris successfully persuades the reader that nothing is “obvious” and when faced with the argument of obviousness, the reader should seek truth on their own accord. Before we go any further, let’s acknowledge that the questions of whether and how different kind of animals feel pain, and of whether and why it might be justifiable to inflict pain on them in order to eat them, turn out to be extremely complex and difficult. In defining what the issue is (along with many previous definitions about the nervous system of lobsters, their constituent parts of anatomy, as well as other details about the Maine Lobster Festival), Wallace instills the same exigence in his readers as Morris. Readers who previously may not have given this argument a second thought are now challenged to acknowledge the issue and its importance. Just as Morris asks his readers to challenge what is obvious, Wallace urges his readers to question what is ethical. While the two authors are able to successfully persuade their readers to care about their issue, each has a different way of presenting the problem. For instance, in Morris’s blog series he simply lays out the evidence in the form of verbatim dialogue conversations; excerpts from books from which he gained his research; and photographs. This compliments his argument about what should be considered obvious because he works to present his research comprehensively to his reader, leaving them to decide what the facts are for themselves. In contrast, Wallace presents his research in ways that are amusing and conversational to the reader. His footnotes, while seemingly interruptive, add a colloquial element to the writing making the reader feel engaged as if they were being spoken to by Wallace himself. This allows the reader to feel more comfortable and willing to accept his argument. And, of course, his blatant cynicism and dark humor certainly don’t detract from the reader’s experience (“Nor do they give you near enough napkins considering how messy lobster is to eat, especially when you’re squeezed onto benches alongside children of various ages and vastly different levels of fine-motor development” (239)). Wallace and Morris are both able to successfully persuade their readers into caring about a particular issue. By explicitly defining words or problems to readers, they are able to get their readers to challenge truth. While each author achieves this, they have different ways in presenting their information so that readers will continue to care. Morris does this by presenting his evidence in the form of detailed accounts of his journey; word-for-word dialogue; and photographs. On the other hand, Wallace uses humor and footnotes to work to his advantage in maintaining a conversational tone with the reader. Both pieces are effective and creative in their technique, leaving the reader feeling well-informed and ready to seek the truth. Morris, Errol. "What Came First, the Chicken or the Egg?." Opinionator. New York Times, 25 Sep 2007. Web. 2 Feb. 2014. <http://opinionator.blogs.nytimes.com/2007/09/25/which-came-first-the-chicken-or-the-egg-part-one/?_php=true&_&_r=0>. Wallace, David Foster. Consider the Lobster. 1st . New York: Little, Brown and Company, 2005. Print.